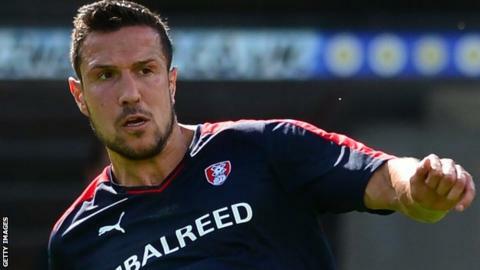 Chesterfield have signed Rotherham defender Richard Wood on a three-month loan deal. The 30-year-old has just completed a one-month spell with the Spireites' League One rivals Fleetwood. Wood, who worked under Chesterfield boss Dean Saunders at Crawley last season, could make his debut in Saturday's game against the Cod Army. Saunders told the club website: "He's a good pro with a great attitude and will provide more competition for places." Meanwhile, the Spireites have also added New Zealand Under-20 international Liam Graham, 23, after a successful trial. The defender has spent his career to date playing in Italy with Ascoli, Monza and Pro Patria and is expected to feature for the club's development side initially.